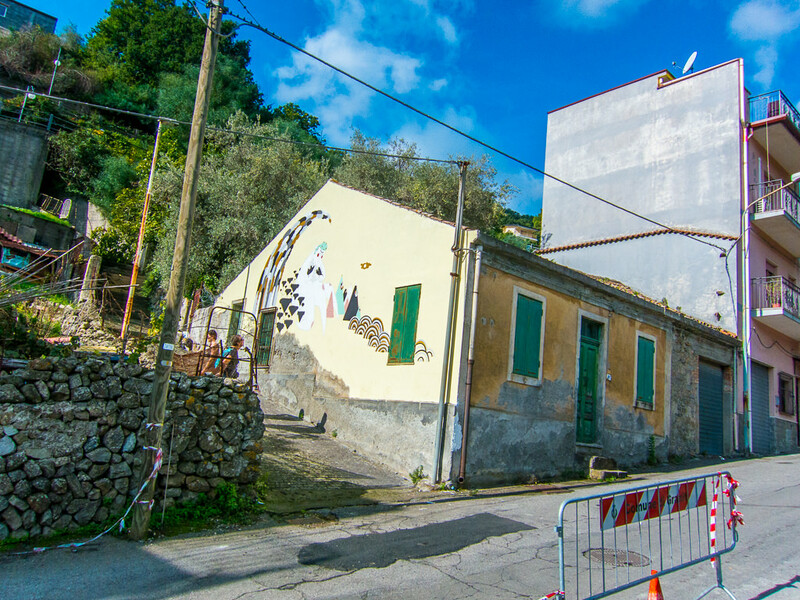 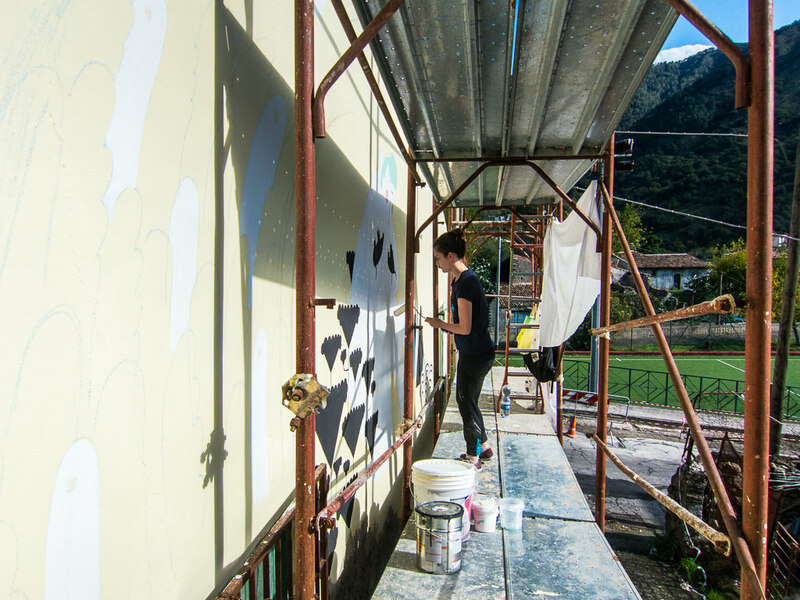 Morgane’s mural was located on an empty house at the base of the steps leading to La Terazza. 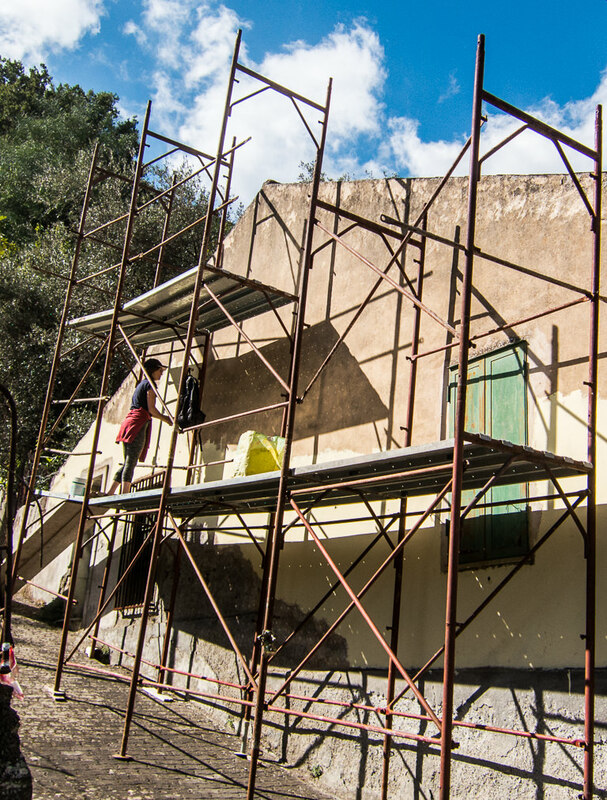 She needed a large scaffolding installed by the wonderful local residency volunteers. 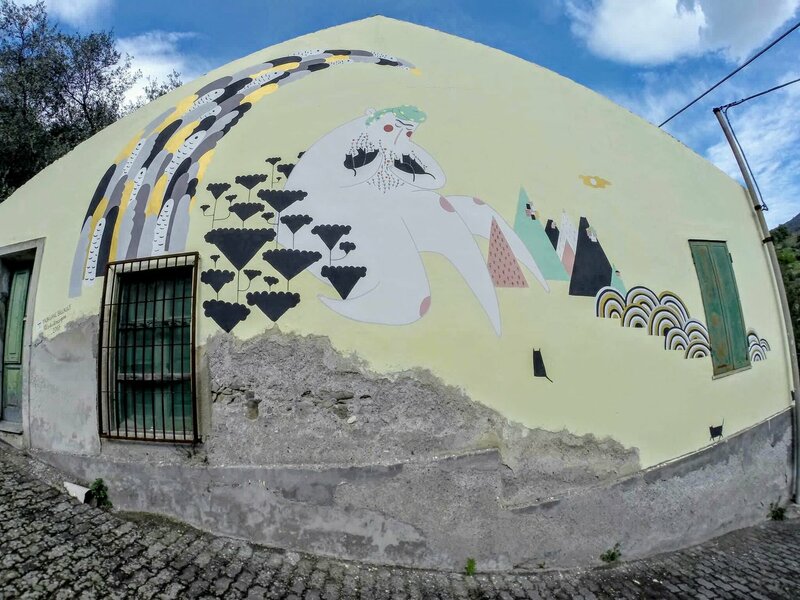 Morgane’s charming work reflected the warm maternal energy she felt around Graniti. 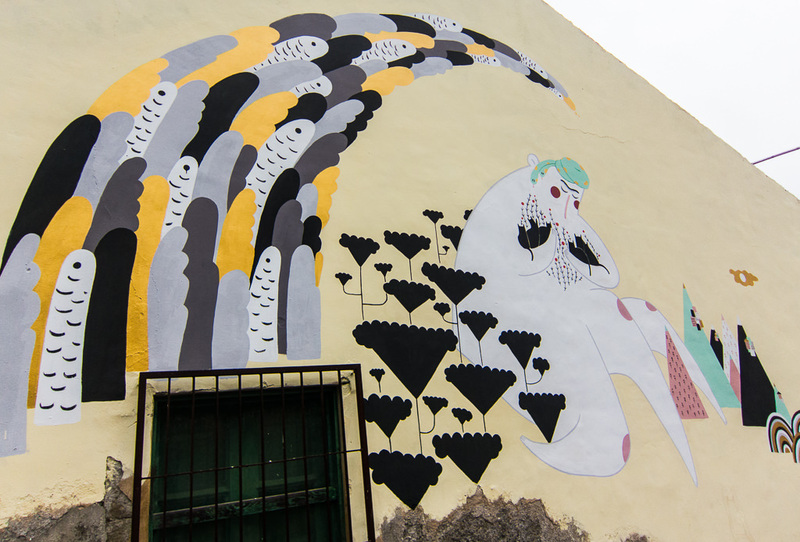 It features a large, protective Medusa/Mother Earth figure, embracing the many local street cats, surrounded by a cascade of anchovies and stylized pine trees seen on the hills around the town.